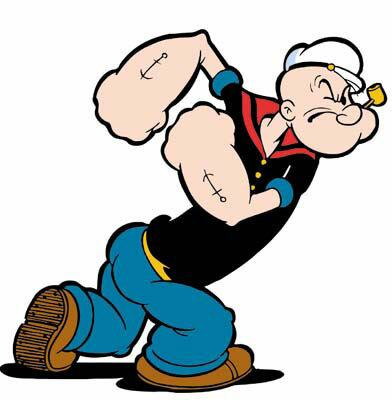 I do love sailors, they are such winners in my book. One thing I love about them is the cute hats they wear. They slay me! I'm not joshin. 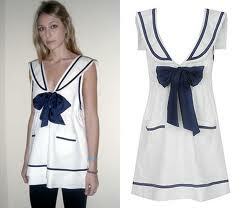 But seriously, want a cute sailor-inspired jacket? treehugger.com has one that I really like. What i like even more is that it's made of 100% organic material. Green makes the world go round! I don't know where they got them, but these shoes? I give you waves and waves of appreciation. You want a shirt that makes you look cute while gliding on the crystal waters? This shirt from nitrolicious.com costs only $27.80 and it's really great. I love the stripes, and the big bow gives it a girly girl twist that makes the sea your playground. Wanna flash some color and still sport the sailor's way? retrovixens.com gives us a skirt that can cover those bases. This lifesaver keeps you afloat in the fashion industry while still being unique enough to fit your style.